Enterprise Wisdom: Recent experience with open source - Wordpress - Ready for enterprise? Recently I was involved in setting up an e-commerce platform which included a mobile interface for both smartphones and tablets. The team chose to go with one of the most common platforms for this purpose these days - Wordpress. Thereafter a set plugins were applied to enable the e-commerce functionality, the theme which included the mobile compatibility, multi language support, payment gateways and other bits and pieces. While the project is not enterprise scale, I still took in the experience to try to understand how far away Wordpress is from actually becoming a feasible choice for the enterprise. The end result of what we setup you can find at www.mocycl.com - check it out, it may prove to be the Christmas gift of the year. Let's start talking about the strengths of the Wordpress platform. The platform has over the years been restructured and optimised and now it has a simple, robust and easy to navigate base structure. This makes it great in terms of extendability as this has been one of the design features during the design process. You will find a forest of themes and plugins out there to get you the functionality you are looking for. Due to the base structure being well built and it's popularity, the platform has achieved to be well known across the web community and hence it's not hard to find administrators and key users for the solution. Wordpress has spent considerable time being optimised through it's community and hence by now the base navigation structure and the out of the box functionality is mature. And anything you miss can be added through the plugin marketplace. The background from blogging penetrates the platform and most objects can be thought about as a "blog entry" even if they happen to be pages, video, images, etc. Being a popular open source platform the community support and marketplace for extensions is spectacular. This is one of the core strengths which drove me to start out with Wordpress and is one of the attractive features which Enterprises must learn and begin to harness. This is probably a given by now, but just to spell it out. Today you can make Wordpress do pretty much anything and this is surely no longer just a blogging platform. Through the extension plugins you could achieve Wordpress to act as a core enterprise system like CRM or WMS - however make sure you don't go there, this is not it's strength. Due to the vast amount of plugins and extensions which is typically added to the platform to achieve the required functionality, the PHP coding can become messy to manage with constant version upgrades of the base platform and plugins. 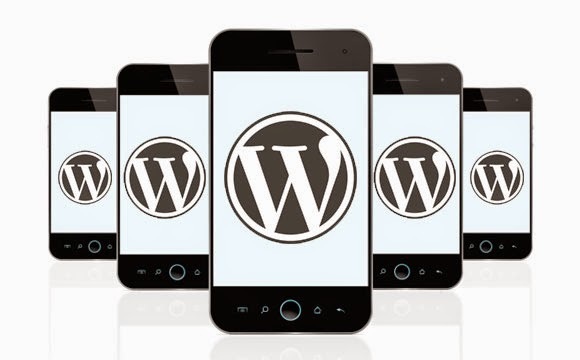 Your developers will need to learn how to work with your very installation of Wordpress as the added plugin layers do create some specific situations in each one. This is huge! Here we have a complete lack of the concept of release management in the platform. This is the single biggest issue with Wordpress today if you seriously consider to adopt it for the enterprise. An external approach to release management must be adopted to manage the migration of code updates from development through testing into production. I'm sure many of you out there have had to tackle this issue and I'm eager to hear what your solutions were. Does anyone know if there is anything on the development horizon for Wordpress or any external solutions becoming widely used? It's very hard to foresee the stability of a release created on Wordpress with your very set of extensions applied due to the forest of plugins typically used to achieve the required functionality. Here the external release management again becomes the key to overcome this weakness. The enterprise could adopt strong internal testing routines prior to letting new versions hit production. Wordpress is expanding very quickly for small and medium sized companies, and I would recommend large IT departments to start getting used to this kind of open source system with large community support, development and marketplaces attached to them. The platform today however has some serious shortcoming - the largest one being the complete lack of release management which cannot be ignored. I would suggest to use this platform for agile, innovation style projects where the speed to a demonstrable product is important to keep your business happy. I leave you with the link yet again to the moCycl - Self Balancing Unicycle which is already turning heads across Europe. What's your view on this topic? which shortfalls did I miss if one were to adopt Wordpress for a multinational? Let us all know!